Start-Up Nation Central hosted Daimler Mercedes-Benz VP Digital & IT Sales Sabine Scheunert, and a delegation of 13 senior technologists, and introduced them to a number of multinationals that operate in Israel, to demonstrate the various models used locally. Following the delegation, Start-Up Nation Central maintained a close relationship with Adi Ofek, CEO of Daimler Mercedes-Benz's new Israeli innovation center, and assisted her in connecting with the local Cyber ecosystem. 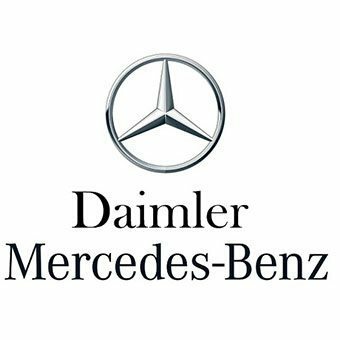 Ms. Ofek said: “On behalf of Mercedes Benz Research and Development Tel Aviv, I would like to sincerely thank you for your extremely valuable advice and support from the very first days of the setup of our company in Israel! I was impressed with your passion to support our entry into the Israeli market. You helped us set the right recruitment strategy, linked us to many relevant people in the industry and connected us to important scouting best practice in the market.” As a result of the introductions made during the delegation, an agreement was signed between Daimler Mercedes-Benz and “The Bridge”, a commercialization program also affiliated with Coca-Cola and Turner.